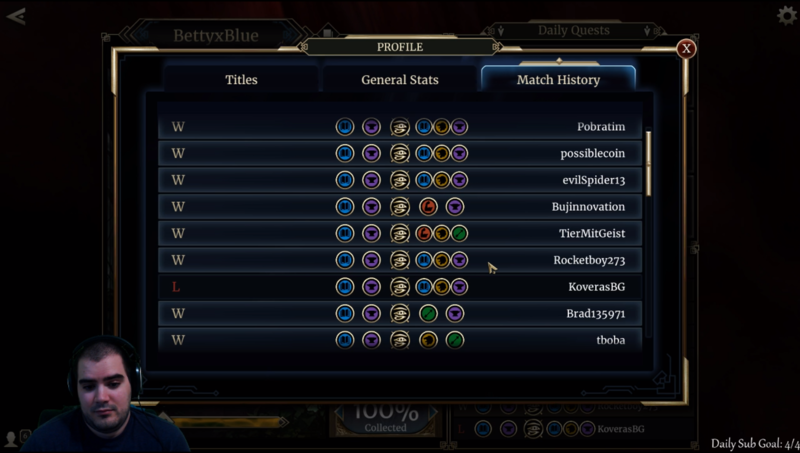 Update 9/17: If you're wondering if this meme is still playable, BettyBlue just took this on ladder and got like 80% win rate reaching legend. Great streamer, check him out too! Update 8/1: I'm seriously testing the playability of Little Girl in this deck. It's a much better comeback tool than Bloodline Outcast and can be brought back by Necromancer if dealt with before transformation. Update 7/29: -3 Scroll Seeker, -1 Insightful Scholar, +3 Firebolts, +1 Shadowfen Priest. More aggro appeared after the nerf of control tools, so try to be more reactive. Update 5/21: Therana proves to be not good. Jzargo is more consistent Kappa. 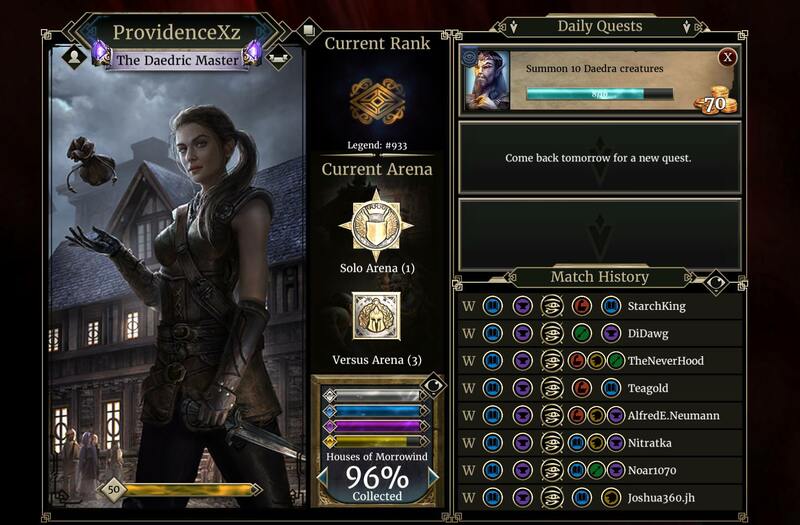 Starting rank 1, I went 8-0 and reached legend with this deck. Vampire roleplay deck that tries to be competitive at the same time. Specifically made for people seeking for memes and fun but also trying to win and climb. Set your foot in the ranks of Volkihar Keep. Enjoy the power of blood magic. The deck has a defensive midrange plan. The core is field lane control using strong early drops, and drag your opponent into a grindfest, in which you'll triumph easily. Blood Magics are a big deal as long as you don't keep getting Corpse Curse, and our deck is good at getting them with the help of Falling Wizard. In the late game we have strong proactive creatures, and if you have happened to set up a board earlier, your opponent will have a hard time keeping up. It could take some time to learn but I promise a lot of fun out of it. Falling Wizard: You usually don't tempo him out, unless you planned the magicka to use the scroll in next few turns. Save it and use him mainly to proc Aundae Clan Sorcerer or Bloodline Outcast. Sorry, but this card is just too fun and I have to make it work somehow. Experimental Scroll: Scroll is quite good when you have creatures on the field lane, in which case you often can afford going face or starting a race. It can give you either 5 damage reach (usually a card draw too), a board clear (especially good against aggro), or keyword buff to your creatures (crazy value if you have a board), which all go with our midrange plan. Aundae Clan Sorcerer: I built the deck around her. She forces you to go field to dictate trades. Blood magics are of both great value and strong tempo. Either tempo her in the early game or save her for blood magic proc in later turns. Try to think about how your opponents would approach the board with your Aundae present since it would heavily affect their trading game. With Falling Wizard we only need 2 creatures to die, very very easy to achieve. Blood Magic: The identity of Blood Magic itself is very defensive midrangey. Gargoyle is some big stats to protect your creatures. Raise Dead is usually the best value for late game. Drain Life is great for burst damage and staying alive. Corpse Curse can be underwhelming against reactive control, but it's insane when you're racing having field lane control. Galyn the Shelterer: Besides all the good Galyn targets (Barrow Stalker, Shrieking Harpy, Necromancer, etc. ), you can Galyn Falling Wizard into 8/3 for more stupidity. Conjuration Scholar: Basically a one card for two creatures to help your trading game to get your blood magic. Great synergy with Odirniran Necromancer. Odirniran Necromancer: If you have Conjuration Scholar in your discard pile you can summon three creatures with a 5/5 guard. Otherwise, Daggerfall Mage and Dark Guardian are always good targets to bring back to fight the board. One of the most important engines to support our grinding game. Bloodline Outcast: Roleplay value and comeback potential. Been performing really well for the deck. When you somewhat stabilized against aggro, try to drop him as soon as possible. Can trigger his drain effect from hand with Falling Wizard. Control decks like Telvanni seem to have a lot of trouble dealing with big creatures like this if you protects him well. Scroll Seeker: Get field lane presence on turn 1 to dictate trades. And since we actually get a lot of actions in this deck, we trigger her Treasure Hunt easily. Indoril Mastermind: Discarding unwanted wizards or creatures for Necromancer can be appealing. But it is slow and does not fight well. Therana: More stupidity. Fill your deck with Experimental Scrolls and Blood Magic. Can actually be good sometimes. Little Girl: If you're feeling lucky. Looks fun. Going to give it a try in ladder.